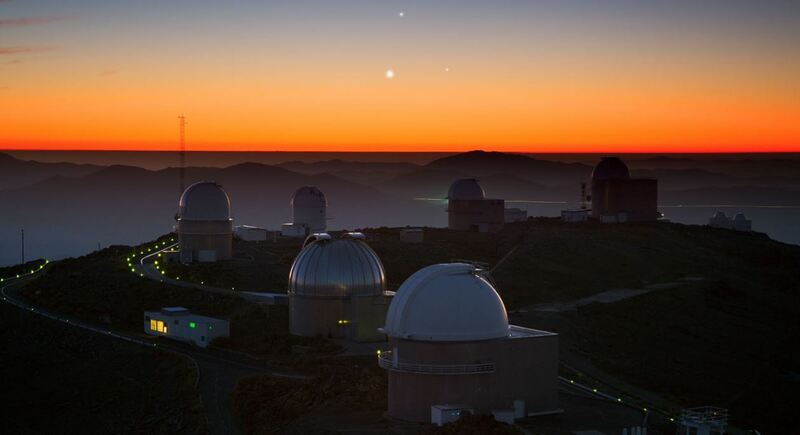 Queen’s University is collaborating with international partners to build and operate a new cutting-edge instrument for the European Southern Observatory (ESO), based in Chile. This innovative device, known as Son of X-shooter or SOXS, will study the transient and ever changing Universe, including exploding stars, dangerous asteroids and sources of gravitational waves. SOXS will be installed on the European Southern Observatory’s 3.58-metre New Technology Telescope at the La Silla Observatory in Chile. Work on the design has been underway since 2017, meaning that SOXS could be operational as early as 2020. Professor Stephen Smartt from the School of Mathematics and Physics at Queen’s, who is the UK lead on the project said: “Queen’s has been awarded a grant from the Science and Technology Facilities Council (STFC) to design and build the software for this state-of-the-art new instrument. Queen’s will be collaborating with The National Institute for Astrophysics, Italy; the Weizmann Institute of Science, Israel; Universidad Andrés Bello & Millennium Institute of Astrophysics, Chile; the University of Turku & FINCA, Finland; Tel Aviv University, Israel; and the Niels Bohr Institute, Denmark on the project. Professor Smartt continued: “What sets this piece of equipment apart is that it is very sensitive to a very wide range of light – from the ultraviolet to the near infrared. Usually instruments can only react to one type of light, but our device does it all. “In addition, we are changing the way the New Technology Telescope operates so we can respond in minutes to the most exciting new discoveries from space telescopes and gravitational wave sources. Dr Colin Vincent of the Science and Technology Facilities Council said: “STFC-UKRI has invested in the most ambitious sky survey ever built, the Large Synoptic Survey Telescope, which will survey the entire southern sky from Chile, beginning in 2022. Media enquiries to Jemma Greenlees at Queen’s Communications Office, tel: +44 (0)28 9097 5821.